On Wednesday night, I made my way down to the Elizabeth Sneddon Theatre, nestled in Howard College, to begin two weeks of dance which is Jomba! The Centre for Creative Arts along with its various funders launched the 19th annual Jomba! Contemporary Dance Experience. The festival has had a long history of both local and international visitors, participants, choreographers and dancers and this year is no different with artists from South Africa, Benin, Germany and Holland. One of the outstanding features of opening night is the ever-popular and inspiring speech by its Artistic Director, Lliane Loots. This year, she urged us artists and dancers to remain as a tool for questioning. Loots remains firm when she reminds us of our history and struggle. She notes that: "When Democracy is not safe, it is the job of the dancer to keep moving ... This isn't the first time our country had seen crisis and it won't be the last." And it is this remembering of history that marks the theme for this year's Jomba! The opening night showcase was Out Of Joint, conceived and choreographed by Helen Letonja, steptext dance project, and Gregory Maqoma, Vuyani Dance Theatre. Maqoma is no stranger to Jomba! 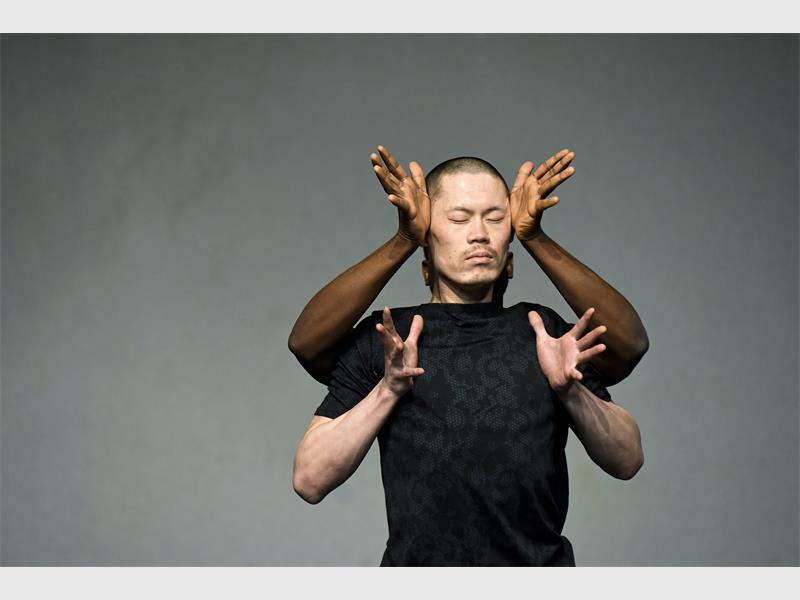 and this pairing with his German counterpart produce a remarkable dance work that found Kossi Sébastian Aholou-Wokawui, Thulisile Binda, Oh Chang Ik, Steven Chauke, Mariko Koh, and Phumlani Life Mndebele fuse their different styles to create this gentle wave of remembrance. Amidst the six unique techniques layered onto these dancers' frames we find solidarity in a style that cohesively joins them together as they interrogated their stereotyped history. My stand-out performance came from Mariko Koh, whose body just seemed to fit any style. The solos distinguished each dancer in their preferred techniques while the pair work and grouped routines delved deeper into a collective consciousness. Allowing us to question our relationships, identity, culture and history. There were many juxtapositions in the choreography as is the case when trying to fuse styles but we watch in wonder, for example, as quickness was paired with tenderness, tightness with release and fluidity with heaviness. The choreography didn't rely on huge lifts and tricks and therein lay its beauty, the simple made spectacular.